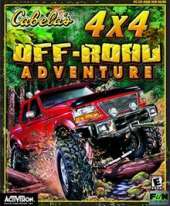 Unlike other racing games, Cabelas' is more directed to survival than simply burning rubber and getting to the finish line. And that ain't easy. Using all the options available, you can build a 4 wheel drive beast machine in seconds, and then test it out on desert terrain, with dried up river beds, rocky roads and mountains galore. But be careful, because if you push your car too far, you may destroy parts and end your chances of getting to the finish.